Last call to sign-up for the 7th Annual Trivia Night! Friday, November 16th in the Benvegnu Center from 6:30 to 9:30 p.m.
Get your table together and test your trivia knowledge. Tables of 8 players available, or we can place individuals/couples together to form a team. Tickets are $15 per person. You and your group bring appetizers and drinks to share at your table. Doors open at 6:30 pm and question rounds begin at 7:00 pm. Prizes will be awarded to top teams. Adults only. Please bring in your registration and check to the office by end of school tomorrow, November 14th. Registration form available here or in the school office. Join us on Sunday, November 18th from 3-5 p.m. for an Operation Christmas Child shoebox assembly party in Holy Family Hall! Bring your box, items to place in box (see flyer for ideas) and $9 to cover shipping for each box. (We will have computers/printers handy to purchase and print your shipping labels.) Hot Chocolate Bar and treats provided! Sponsored by the School Board’s Faith Formation Committee. Congratulations to Samantha Gustafson who was a finalist in the Salt Lake Tribune’s “Why a Free Press Matters in a Democracy” essay contest. Sam’s essay is very compelling and intelligently-written. Good job, Sam! Spirit Dress Day will be Tuesday, November 27th. The “theme” for spirit day is Pajama Day! Wear pajamas to school (regular shoes must be worn) – no slippers, shorts, tank tops, holes, etc. If you do not wish to wear your pajamas you may wear St. Vincent spirit wear. 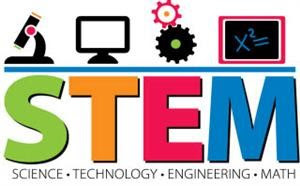 The robotics team, JudgeMent Call, will be hosting a STEM Night at Judge Memorial on Friday, November 30 from 6:00-9:00 PM. The team is inviting parents with children grades K-8 to the fundraiser. Children will be able to engage in a variety of hands-on STEM activities and experiments throughout the night such as marshmallow towers, eggdrops, and a couple other awesome experiments. Please fill out this form to register and reserve a spot for your little scientist. SafeUT is a statewide service that provides real-time crisis intervention to youth through texting and a confidential tip program – right from their smartphones or tablets. The SafeUt Crisis Text and Tip Line is a free and confidential application that students, parents, and educators can use. Licensed clinicians in our 24/7 Crisis Line call center respond to all incoming chats, texts, and calls. In order to help us expedite the box top procedures. We are sending home 2 collection sheets for you to attach your box tops to. Please make sure you check expiration dates and do not put any expired box tops on these sheets. If you need more sheets, please stop by the school office. Look for the sheets to be sent home this week with your child. We will let you know of the next box top collection day. Thank you for your support! AmazonSmile is a simple and automatic way for you to support Saint Vincent School. Saint Vincent will receive a donation every time you use Amazon to shop. All you have to do is select Saint Vincent de Paul Catholic School as the charitable organization. We would like to remind everyone who shops at Smith’s Grocery Store to please make sure to enroll your community rewards program, designating for St. Vincent School. If you have enrolled in the past please note that you have to re-enroll every year in order for St. Vincent School to earn their rewards. This means you must register your Smith’s rewards card account to link to St. Vincent School. Click here for instructions. It is time to register for the Brighton Ski/Snowboard Program. This program is open to all students in grades 3rd – 7th, and takes place after school on Friday afternoons, starting December 7th. You may stop by the office to pick up a registration form or download the registration form below. You may register online at Millcreek Ski and Snowboard Registration. Donation solicitation follow-up calls November 26 – December 7, 2018. This can be done from home during business hours. We provide you a list of businesses and individuals who were mailed a donation request letter, and you simply call to see if it was received and if they are able to support our auction this year.